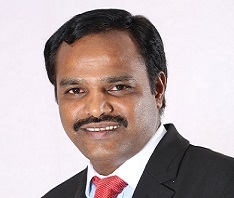 In the upcoming Union Budget 2018-19, government should primarily focus on boosting the realty markets of Andhra Pradesh, Telangana, Bengal and other north-eastern states, says M Murali, Managing Director, Shriram Properties. The recent years have witnessed some landmark reformative policies being rolled out by the Government - GST, RERA, demonetisation, and so on. Coming to the Indian real estate, these reforms will make the more transparent, credible and attractive with only organised players on the ground. Private equity investments in real estates in 2017 had already touched a new high of nearly US$ 4 billion. Large pension funds are having lot of interest to enter into Indian housing market today. Finance Minister has already indicated that housing shall be high on agenda in the ensuing Budget. We anticipate this will enhance the overall quality of living in addition to job creation, a major bone of contention and a promise that the Centre has fallen short of fulfilling despite its earlier agenda of creating 1 crore jobs, announced in 2014. Most importantly, ‘Housing for the Needy’ should be a prerogative over Housing for All. The government will have to address devising practices that will keep a check on the subsidies being rolled out under this scheme. Only those in need of this rightful exemption should be given the rightful preference over individuals who can afford a home at fair market price. Even if 20 percent of the Pradhan Mantri Awas Yojana is implemented, we can witness a GDP growth of at least 50 percent. However, the Government should focus on markets like Andhra Pradesh, Telengana, West Bengal and North Eastern States to exploit the latent potential in these markets and make them pivotal in their contribution towards improving the quality of life in India. The development of these states can drastically influence the overall growth of the country. With the overall general perception that the Government has brought in by key transformations in the country’s real estate sector, I strongly opine that in 2018, the primary sales market, especially across larger cities, will go up as real estate prices have already bottomed out and stabilised. Over a period, one can anticipate GST and RERA to have their impact on pricing of homes which may increase by around 5 to 7 percent - with reduced number of players on ground creating a “demand high-supply short” situation. On the other hand, implementation of technology/digitalisation in the approval process will be the greatest enablers to check price rise consequent to delay, cost overrun and corruption. Technology will help the regulatory enforcement system of the country speed up project delivery; thereby bringing down the cost of owning a home significantly in addition to weeding out corruption in the sector. Just like how the sector’s outlook, as envisaged in the 2017 budget, saw the industry drawing in the much needed transparency and affordability, we are keen that the forecast for 2018 will be positive and remarkable in equal measure. Disclaimer: The views expressed in the article are solely of the author and may not represent 99acres.com's opinions on the subject. 99acres.com does not take responsibility for any actions taken based on the information shared by the author.